Inspired by Transition founder Rob Hopkins’ challenge to “step things up,” and in hopes of expanding local Transition efforts, TPA leaders and activists met Nov 2 to harness our creative genius – or more prosaically, to envision our future and plan what projects we should do in 2014. We’ll be kicking off working groups in the areas of food, leadership, clean energy, community space and projects, public banking, resource mapping, language study, leadership gathering, reskilling, forums, and more. We need you! To get involved in any new or existing working groups, send email to transitionpaloalto@gmail.com, and we’ll hook you up with the working group of your choice. See Transition Core Values for the list of Transition core values that Romola Georgia wrote up. 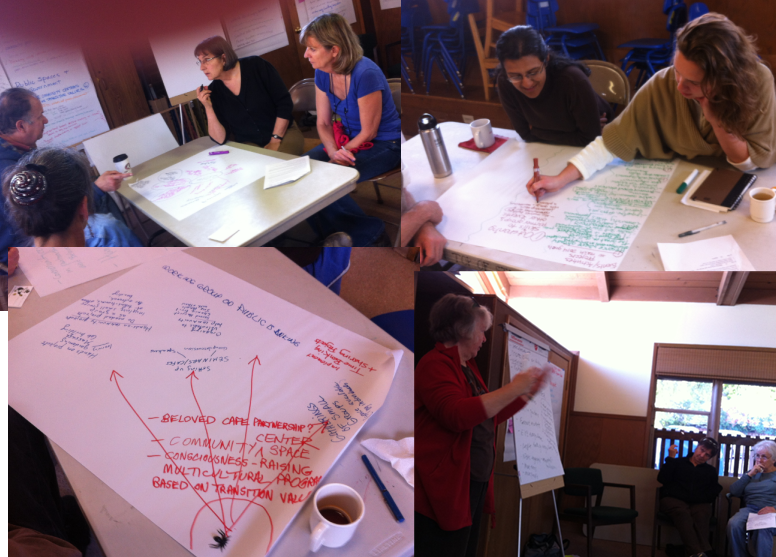 Images from our planning sessions are included below.